Change is in the air for August, Dr. Tibolt has retired! It’s time to say goodbye, Dr. Tibolt has officially retired as of July 31, 2018! Bob first became a part of our team back in 1992 and spent the last 26 years sharing his time and invaluable expertise with coworkers and patients alike. A well respected graduate of Dartmouth and University of Texas, he spent much of his career not just with us, but furthering his medical knowledge and serving on several prestigious Medical faculties, including OHSU and the American Academy of Ophthalmology. Although we’re sad to not have him in the office every day, it was wonderful to celebrate his life’s work this past month and think about all of the memories we’ve made over the years. We will forever cherish the time he spent with us and wish him all the best in this new chapter of his life! Do you have a fun memory with Bob? Share it in the comments section below! 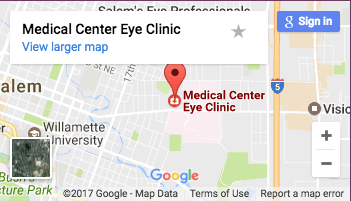 Spring is Here, time for your bi-annual Eye Exam!